Please note Ooh La Lash Individual Knot-free Medium Black has been discontinued and no longer available. 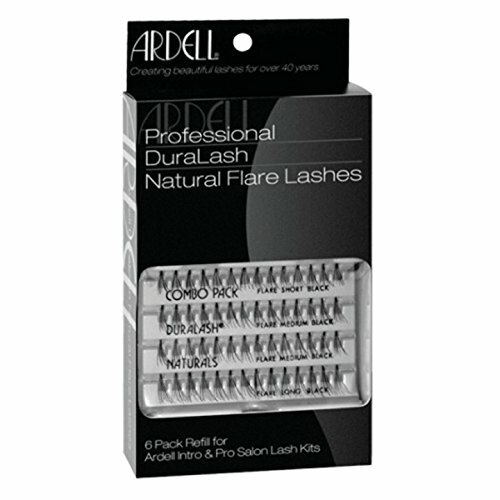 Try the same fluffy knot-free flared clusters under Andrea MOD Perma-Lash FLARE Medium Length or Ardell Duralash Naturals Medium Length. Ooh La Lash Individual Knot-free Medium Black add length and volume to your natural lashes with high-quality lash clusters to customized any lash look. Ooh La Individuals are semi-permanent, flared style knot free lash inserts for added fullness. Pour a few drops of Ooh La Lash Individual Lash Adhesive on foil. Gently lift a lash cluster from tray with tweezers and dip knotted end into adhesive. Next, place the lash cluster on top of one of your own natural lashes with the knotted end close to, but not touching, the eyelid. Support lash gently with fingertips until adhesive sets. Apply 10-15 lash clusters per eye for maximum effect. 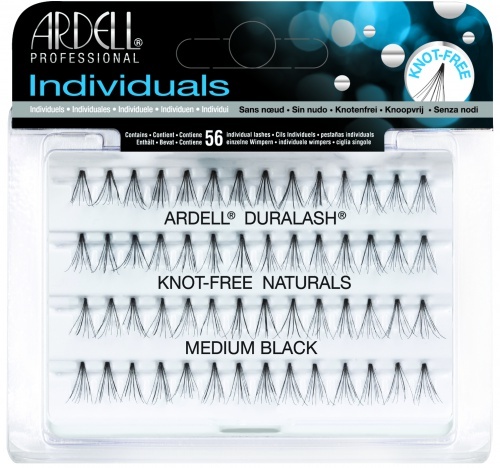 If you wish to remove lashes after the adhesive has set, use Ardell or Andrea LashFree Remover. Use a few individual clusters at the corners of the eye for a subtle look. Or use as many as you dare for super-full eyelashes! For a classy elongated lash look for the eyes, start with shorter length clusters on the inner corner of the eye, ending with medium or long length clusters on the ends.